Heartworm disease is one of the most dangerous and life threatening diseases your dog could face. This is why prevention is absolutely key to keeping your pup safe. Learn about what causes heartworms, the symptoms, treatment and, most importantly, how you can prevent your dog from becoming infected. 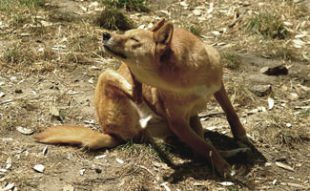 Dogs can only get heartworms by being bitten by an infected mosquito. There is no other way. If you’ve heard differently, it’s not true. Not only are mosquitoes tiny but there is also no way to tell if a mosquito is infected with heartworm larvae. This is why preventing heartworms is critical. After a dog is bitten by an infected mosquito it takes quite some time for heartworm symptoms to appear. After about 7 months, the larvae matures into adult heartworms. The heartworms then lodge into the dog’s heart, lungs and surrounding blood vessels and reproduce. Heart worms can grow up to 12 inches in length and can live 5-7 years. A dog can have up to 250 worms in their body. 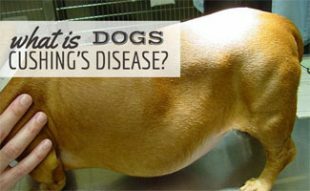 What Are Symptoms Of Heartworms In Dogs? At first, you won’t notice a difference in your dog’s behavior. However, as more and more worms develop, most dogs will begin coughing. Other signs of heartworms in dogs include the inability to exercise as much as they typically could, abnormal lung sounds, dogs passing out from the loss of blood to the brain, and retaining fluids. Unfortunately, if the heart worms are not treated, most dogs will die. What Is A Dog Heartworm Treatment? Before heartworms are treated, a veterinarian will perform an extensive exam including blood work, x-rays and other tests to determine the infection’s seriousness. The dog is then treated with Immiticide, which is an arsenic based product that is injected into the dog. Dogs are given 2 or 3 injections to kill the adult heartworms in the heart’s blood vessels. All of this work can cost up to $1,000 but can be done for around $300 in some places. With the right pet insurance plan you can lower that cost even more. 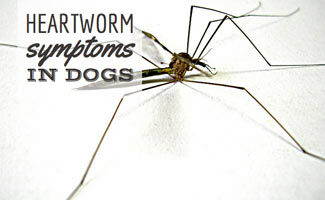 Prevention is so important because 100% of dogs exposed to infective heartworm larvae become infected. Doing your part to prevent heartworms in your dog is the best way to go. You can give your dog monthly pills or apply topicals to your dog’s skin to prevent heartworms. You can also give your dog a 6 month injectable. The cost of preventative treatment is worth it compared to the damage that could be caused by heartworms. Heartworms are not the only worms that dogs can get. Learn about roundworms, tapeworms, hookworms and whipworms.Read more about buying inexpensive heartworm preventative medications online. Has your dog ever been infected with heartworms? The heartworm indisposition is a precarious death-dealing affair that can affect your canine companion frequently. It’s a disease which is transferred from one furry member to other by means of an infected mosquito bite. The inferior part is that after your dog being bitten by an infected mosquito these parasitic worms may migrate to your pooch’s heart and lung, and live there for a longer period of time if not healed timely. Although a dry cough, tiredness after moderate work, the problem in breathing are the common symptoms of heartworm, still there is no such clinical symptom is present. 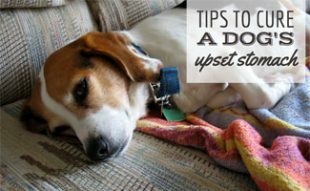 Thus, it is always recommended to take preventive measure by taking an experienced veterinarian consultation to make sure your dog is not going to be infected by the life-threatening heartworm in the first place. Thanks for posting these symptoms of heartworm in dogs. 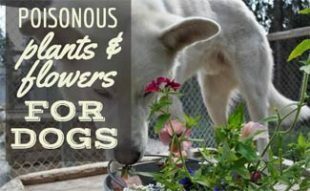 I thought that the information in this post for treatments for dogs was really useful. Asking a vet to give my dog injections that can get rid of his heartworm seems really good to know. I found some other useful information in this infographic about the heartworm life cycle,. It has some interesting information that pet owners should know about how female worms release large amounts of microfilariae into the bloodstream, and how they can grow to be twelve inches long. I didn’t know about that before looking at this infographic, so this could also be helpful for other pet owners out there.